Eggs and bacon? Eggs and sausage? Eggs and bacon and sausage? 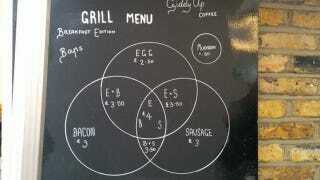 Sometimes the choices at breakfast can be paralyzing—but a Venn diagram can make that all better.